Will Edgar Wright’s “Baby Driver” Be as Great as it Looks? Director Edgar Wright has a strong following of fans from his films, (Shaun of the Dead, Hot Fuzz and Scott Pilgrim vs. the World). 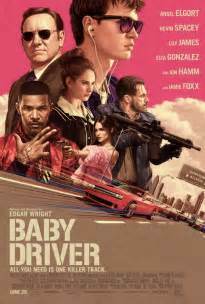 Film executives, movie fans and critics are hoping that his soon to be released Baby Driver will be his best film yet. With an all star cast: Ansel Elgort, Lily James, Jon Hamm, Jamie Foxx and Kevin Spacey, amazing performances are all but guaranteed. This film also boasts an unforgettable soundtrack and is being hailed as a MUST SEE movie of Summer 2017. What do you think? Will you be seeing it? Just saw it last night and the answer is a resounding YES, this movie is not only as good but even BETTER than it looks. Hope you’ll go see it and also love it. It’s fantastic.